It’s not every day that I get the chance to congratulate a client on being awarded an MBE. The news that Laraine Callow of Deafworks was being awarded an MBE for services to Deaf and Hearing Impaired people was announced in the National Press on New Year’s Eve. The award ceremony will take place at Buckingham Palace on 8th February 2011. Here is more information about Laraine Callow’s MBE. 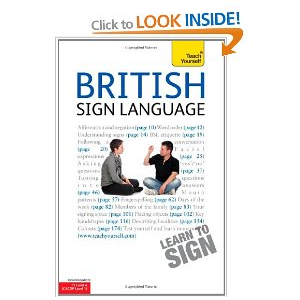 Further congratulations to Deafworks on the publication of their groundbreaking new book “Teach Yourself British Sign Language” which is a collaborative effort between Paul Redfern and Deafworks. It is the first book of its kind in teaching BSL grammar and sentence structures of BSL, not just simply vocabulary. Here is more informaton about the teach yourself BSL book. For those who have grasped the basics but are still learning BSL Deafworks have also published ‘Improve your BSL!’. Looks like the start of an exciting year for the Deafworks team! Congratulations to them on their remarkable accomplishments.